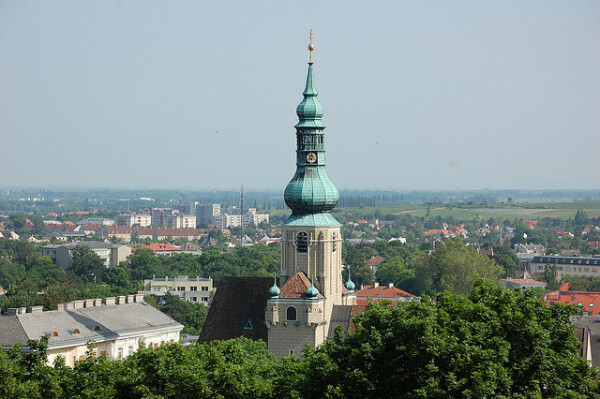 Baden has a special place in the history of Austria, as Emperor Francis I chose this idyllic city as a location for his Summer Imperial Residence. Artists, intellectuals and the so-called “good society” followed him. He set a high standard here and created a unique atmosphere that is a mixture of art and wealth, which the city continues to keep. 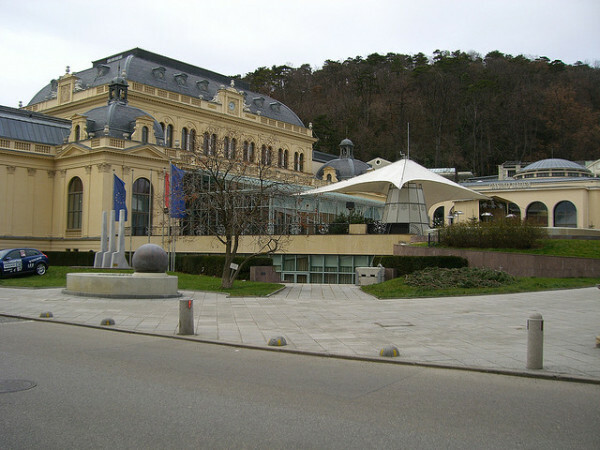 The city is famous as a spa and health resort, but today we would like to present you the top tourist attractions in Baden. It is a picturesque town with narrow and less accessible streets, a medieval bridge and a city gateway that is still standing. Baden is an elegant and relaxing place; everything you see, the beautiful landscapes, the surrounding nature and the lovely buildings delight the human eyes and soul. 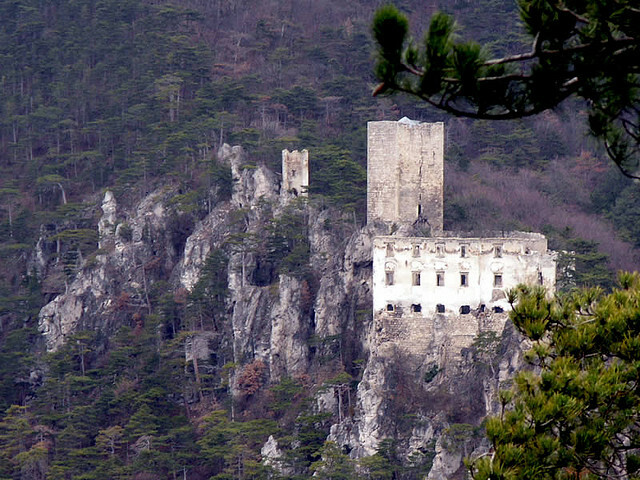 The city of Baden is dominated in west by the castle ruins of Stein (Rauhenstein) from the 12th century. On the right bank of the river you can admire the ruins of Castle Rauheneck dating from the same century. The city offers numerous parks for tourists. The Doblhoff city park is beautiful and huge, occupying over 8 ha in downtown. The whole place is very elegant, full of flowers and statues. It has a lake with ducks, where you can also hire a boat. 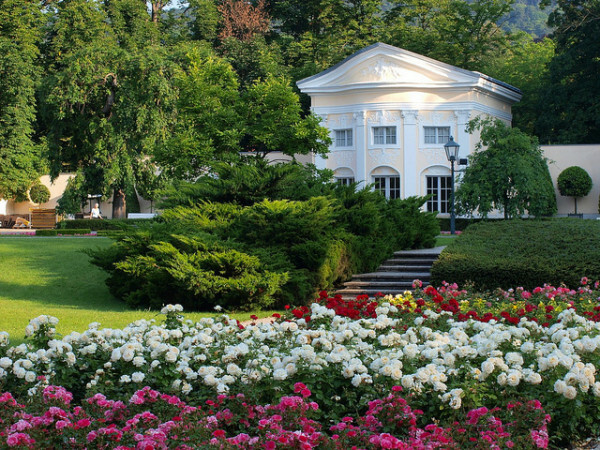 In Doblhoffpark you find the largest rose garden in Austria known as the Rosarium. It has about six hundred species of roses on an area of over 90.000m2. To see this splendor you should visit Baden in flowering period, which means June or October. Otherwise you will find other flowers that will delight the eye. In the park you will find terraces where you can dine or just a have a coffee or a cake and enjoy the beautiful scenery. An other important tourist attraction in Baden is the Kurpark. The park has monuments, fountains, music pavilion and a flower clock. In summer you can attend symphonic concerts and operetta performances. 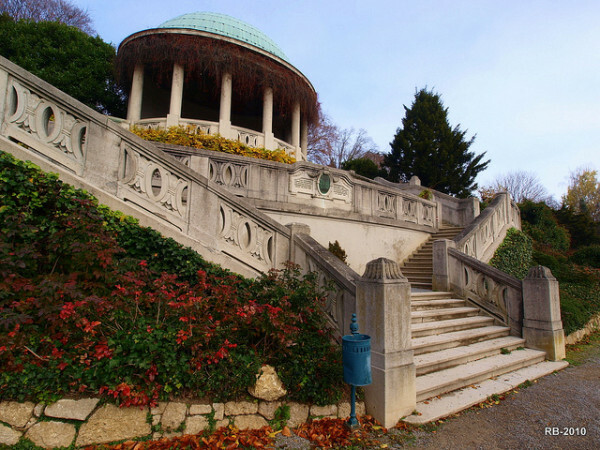 If you take the path from the park, you will rich a small charming building, the Beethoventempel. From this place you have a view of this marvelous city. If you visit Baden, don’t miss the famous and spectacular Casino, which is opened 365 days a year. 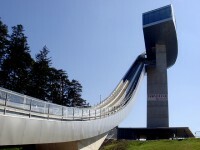 It is one of the most beautiful casinos in Europe and it is located at the entrance of the park. It has some beautiful fountains in front, that are lit beautifully at night. 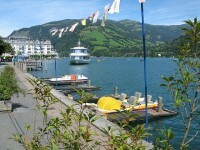 The city center is called Hauptplatz and has many beautiful tourist attractions. You will find there the baroque Plague Pillar, the spectacular City Hall and the famous Kaiserhaus. Between the city center and the Doblhoffpark you can choose a narrow and charming pedestrian walkway, known as the Schlossergässchen. Other tourist attractions in Baden you should see are the St Stephan Church, the city theater, known as the Stadttheater and the Josefplatz with beautiful architectural buildings. If you travel to in Austria, do not hesitate to visit Baden, you will leave deeply impressed and fascinated by this beatiful town.